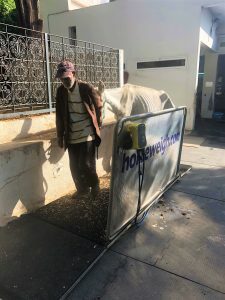 Horse Weigh > Homepage News > Horse Weigh to the welfare rescue in Fez, Morocco. Horse Weigh are humbled to hear the difference our horse weighing platforms make to these horses & mules. Especially when help is most needed. Allowing their owners to learn how to look after their animals correctly and see the improvement. All available to them from the great vet, Dr Gigi Kay FRCVS and her team. 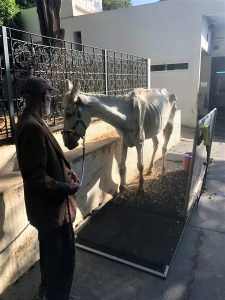 “In Morocco, as in many developing world countries, owners and their working mules and horses often struggle to survive. Working with huge burdens over very long hours, access to food is often limited, and this problem is compounded by sickness, parasites and poor dentition. To help these owners evaluate weight gain or weight loss, and to help our veterinary team monitor clinical improvement in some of these severely starved or sick animals, the Horse Weigh Curragh model is an essential piece of our hospital equipment. 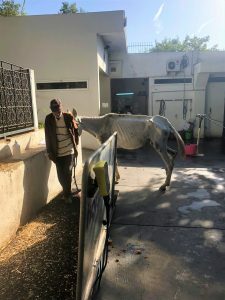 The owners are also invariably really interested to find the horses weight and will come in on a regular basis to re-weigh their animals to see how a new feeding regime or parasite treatment may be improving their weight. Dr Gigi Kay FRCVS, Director, American Fondouk, Fes, Morocco.